ARP Carb Stud Kit Dominator with 1/2" or 1" Spacer, 5/16" x 3.200" O.A.L. Dominator with 1/2'' or 1'' Spacer, 5/16'' x 3.200'' O.A.L. ARP 200-2417 - Carb Stud Kit HP Dominator Carb Stud with 1/2" Spacer, 5/16" x 2.700" O.A.L. 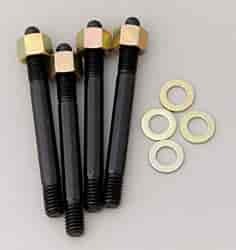 ARP 400-2412 - Carb Stud Kit Dominator with 1/2" or 1" Spacer, 5/16" x 3.200" O.A.L.